Severe storms were expected to fire along the Front Range in Colorado and migrate eastward throughout the day. 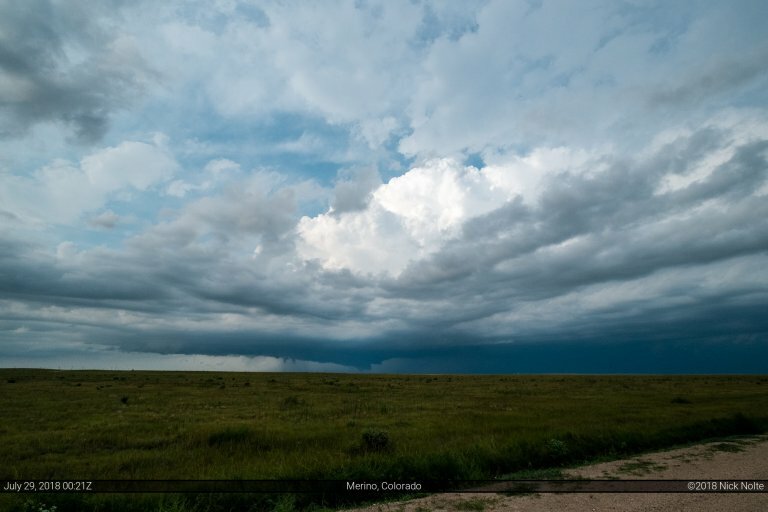 With high CAPE values and moist dewpoints expected in the Nebraska Panhandle area, this appeared to be a relatively favorable area for supercells and possible tornadoes with the easterly upslope flow. SPC had issued a 5% tornado risk for the area I had been looking at and so that seemed to be the place to go. The plan was to head west out of Grand Island along I-80 to the I-76 interchange where I’d make a decision to play north or south. Just as I passed Ogallala, the SPC issued a mesoscale discussion for the target area indicating that a tornado watch would be incoming soon. 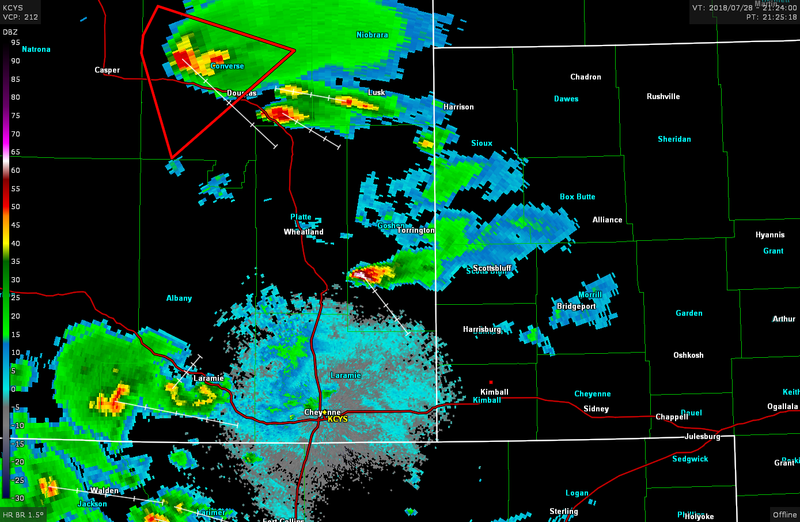 Cells had already started to fire along the Front Range and further north into the Laramie Range. In fact one of the cells near Douglas, WY was the first of the day to go tornado warned shortly after 21z. I was right around Kimball, NE when that warning went out, but was more interested in a newly developing cell just to my northwest. 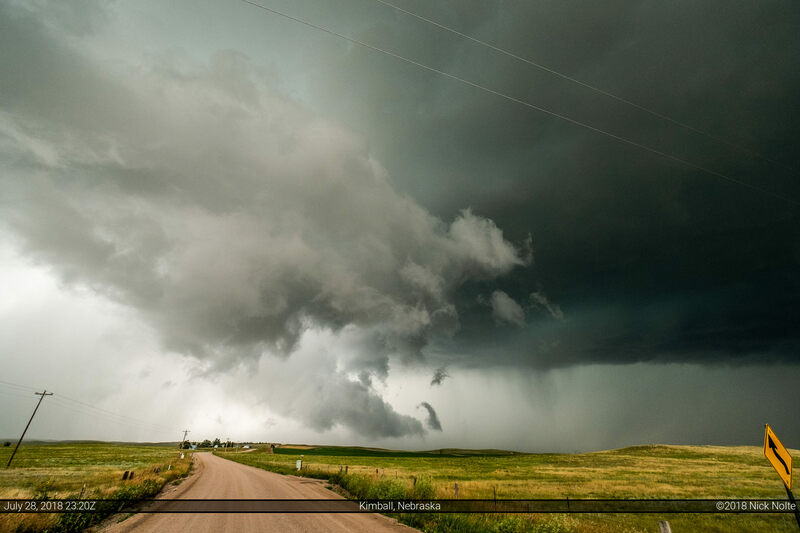 I went north out of Kimball to try and intercept the newly developing cell. It went tornado warned just a few minutes after I left Kimball and I it took me a little bit to finally get a view of the storm. As I drove west further towards the storm it started to weaken and merge with a new cell to its east and start to look more like a linear feature on radar. Over the next hour or so the storm kind of morphed between a linear blob to a more organized supercellular structure. 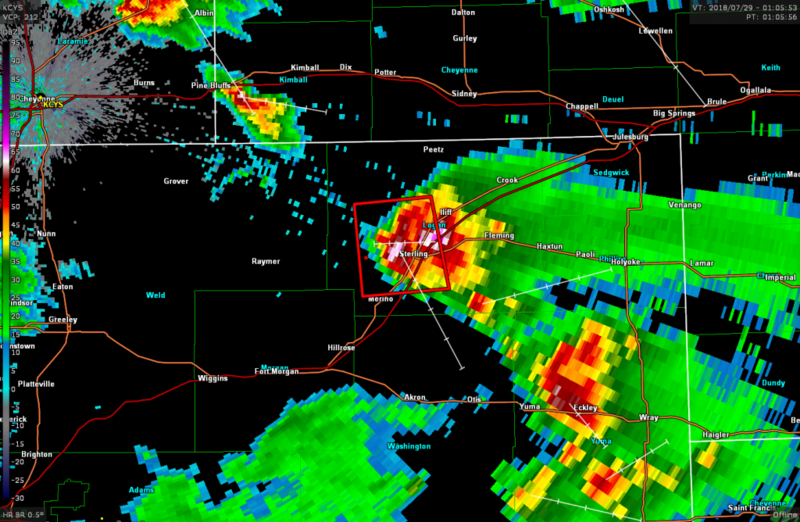 I kept up with it back to Kimball where it went tornado warned. 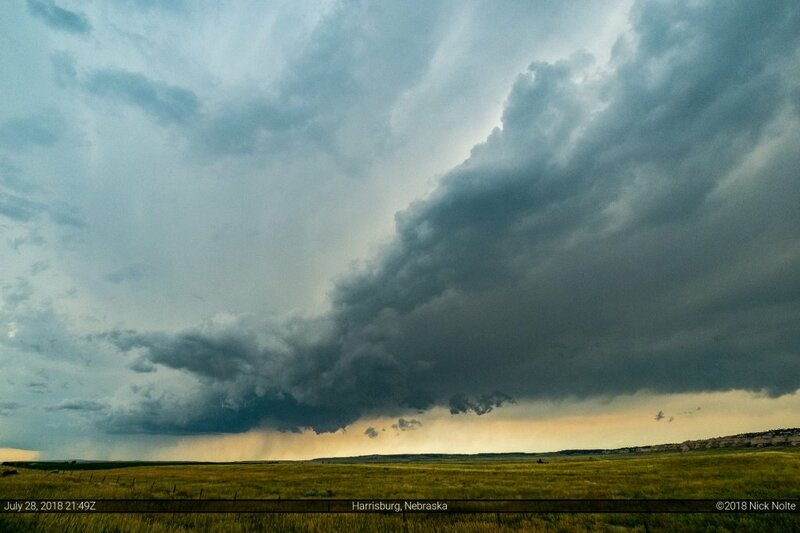 The storm continued to turn to the right and was now headed southeast towards Sterling. A couple of tornado reports had come in at this time, but indicated possible brief tornadoes. I never saw anything that looked like a tornado around the Kimball area. 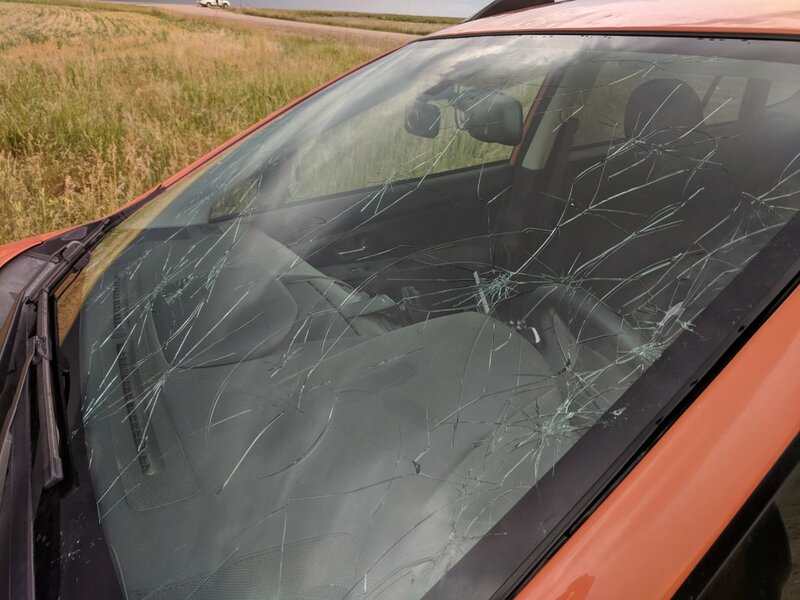 I did, however, run into some crazy baseball sized hail south of town which destroyed my 42-day old windshield. The storm continued southeast towards Sterling and around that time I was able to take the drone up for the first time on a storm chase and shoot some footage. The storm began to wind down shortly after this as it passed southeast of Sterling and I called it a chase and headed home!